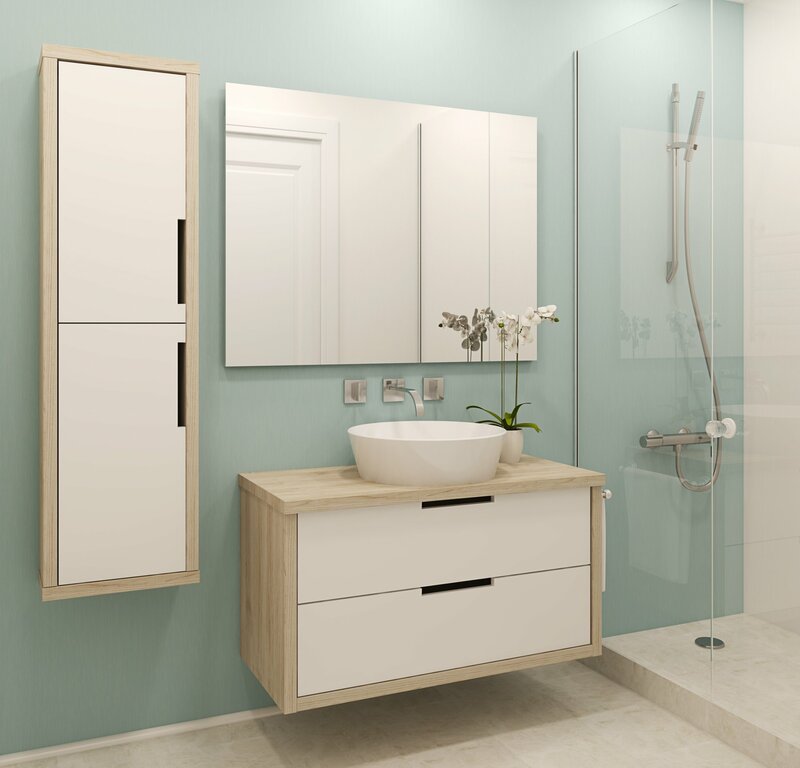 Give your bathroom a lift or significantly improve it by integrating our elegant bathroom furniture! In order to be inspired, visit our showroom and have an in-depth discussion with our team: they will help you identify the type of bathroom you dream about. Take a look at all the potential and the various ways you can remodel your bathroom while getting more storage. This is how you will feel once we have installed the furniture according to your needs and wants. It will become your favorite room in your home. 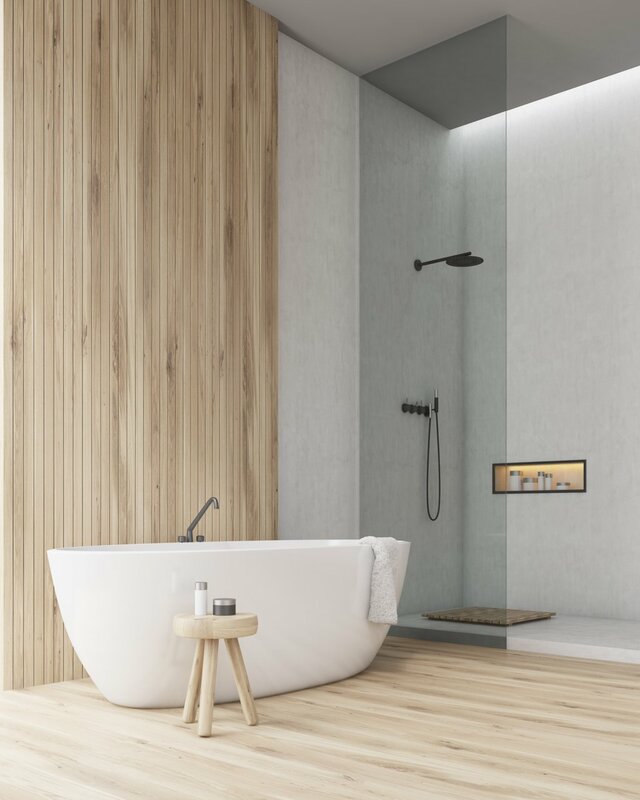 It’s easier than you think to get your dream bathroom. Give us a call to tell us more about the details of your project. Once we understand what you want, we will propose you a design plan to make your bathroom a place of the house where life is pleasant. We’ll give the same attention to your bathroom, whether it is in a house, an apartment or a property or a cottage you just bought, or a simple renovation to enhance the space. You know how much of a pleasure it is to be in front of your mirror to get ready to go out when there is space for all your belongings and everything is tidy. We are the top specialists in custom-made furniture that fits perfectly where you want it. When you buy furniture, our experts take care of everything. As easy as that. Let us know what you hope to achieve and we will make sure you create the perfect bathroom. By taking into account the specificities of your space, we will suggest the best ways to solve the design and workability issues. Plus some original ideas. It’s part of the deal. Given the time spent there, the bathroom is definitely the first to remodel or renovate if you must prioritize one room. It is especially true if you share it with members of your family or other people. Sharing the space is way easier in a well-equipped bathroom. Interested ? Give us a call at 514-700-4965 to speak with one of our bathroom experts and learn more about what we can do. For you. We’ll be happy to answer all your questions and offer you the best advice possible based on your needs, budget and available space. Send us a message! By defining where all the important things you want to store in your bathroom will go, there will always be space to store your towels, cosmetics, moisturizing creams, medications and other items and bathroom products. As our prices are competitive on all our furniture and services, you should be able to afford custom closets and storage in your own home. It’s well worth it!